This month I discuss stock market valuations particularly in the US and highlight some technical signs that suggest the equity bull market is running out of steam. Amazon for example has now outrun one of the market leaders of the dotcom mania, as the vertical ascent of its share price continues. While US equities remain in a bull trend, European and emerging market equities are lagging badly. Something has to give. In fixed income, as the US yield curve is close to inverting, I note that both fixed interest and inflation-linked bonds are set to rally once more. Meanwhile in precious metals, speculator and smart-money commercial trader positioning have reached extremes not seen since the bull market began in 2001. Gold and silver are preparing to launch. US stocks are expensive. The Wilshire 5,000 captures the market capitalisation of all equity securities trading in the United States. Historically comprised of approximately 5,000 names, currently there are just under 3,500 equities listed in the Index. The Wilshire 5,000 Index has a market capitalisation today of approximately $29 trillion. The Index sports a trailing price/ earnings ratio of 26 times and a price/book ratio of 2.7 times, historically at the extreme end of the valuation range. The size of the US economy by comparison is approximately $20 trillion. So, the Wilshire 5,000 is now 1.4 times the size of the US economy, the most elevated since records began in the 1970's. As the Federal Reserve increases interest rates and withdraws billions of dollars from the financial system each month, it will be fascinating to watch the knock on impact on both equity securities and the US economy. Sun Micro rallied from approximately $5 in 1997 to $64 in 2000, a thirteen fold increase, before falling all the way back to $5 again a couple of years later. Amazon, by comparison is a low margin online retailer. AMZN had revenues of $178 billion in 2017 so not trading at the same lofty multiple of revenues as Sun Micro. The same cannot be said for its share price performance however. AMZN has rallied from $100 in 2010 to over $2,000 in 2018, a twenty-fold increase. What could possibly go wrong? While stocks are expensive, momentum remains positive and there has been scant evidence of any material selling pressure to date. The majority (68%) of US equities continue to trade above their long-term moving averages. So long as this trend persists, stocks should not experience a significant decline. However, if this trend reverses and market breadth starts to deteriorate (a drop on the next chart below 50) a more substantial correction would likely occur. I don't think we are too far away from that happening. Continued caution is warranted. Turning to Europe, stocks have been consolidating below multi-decade resistance for the last 24 months. I have written that a break out above 415 on the Eurostoxx 600 Index would be a bullish development and I would take a position in EU shares in the Active Asset Allocator if a break higher was confirmed. European shares have so far failed to muster the strength to break out and now appear to be losing strength and at risk of breaking down. I have marked on the next chart key periods when the Relative Strength Index (RSI) has traded below 50. Each time coincided with a sharp break lower in the Eurostoxx 600 Index. The RSI is at 40 today and EU shares are at risk of correcting. Germany has been the strongest performing economy in the Eurozone and the German stock market has also led since the bear market lows of 2009. The Dax Index should lead the charge higher if the STOXX Europe 600 is to break out to new all-time highs. The current head-and-shoulders topping pattern in German equities is concerning however and suggests that the next break could be lower. Following a strong breakout to new all time highs in 2017, emerging market equities have reversed sharply lower in 2018 and are now threatening to undo much of the good work they achieved last year. Emerging market equities typically trade inversely to the US dollar and the recent rally in USD has driven the recent correction in EEM. EEM now trades below $42 and under the resistance zone marked on the chart. EEM will require a resumption in the USD decline before an uptrend can resume. If EEM cannot get back above $42, this will be considered a failed breakout and a bearish development for the medium-term prospects for emerging markets. China makes up 31% of the EEM ETF and therefore has a big influence on the overall direction and performance of the Emerging Markets ETF. The Shanghai Stock Exchange Composite Index is currently trading a touch under 2,700, down -25% from the January 2018 highs and -48% from the highs of 2015. The Index has not yet reached long-term support, which suggests EEM may have more downside ahead. Support for $SSEC would come in closer to 2,400, approximately -11% below current levels. I think we will get there and we will see then if China and the broader Emerging Markets Index can find a foothold and begin a longer-term rally. A break below long-term support would result in a more painful move lower for China and EM stocks and also potentially signal that the US dollar has more room to run higher. US 10-year yields are currently trading at 2.88%, while shorter-term 2-year yields have surged higher, more than doubling over the last 12 months to 2.64%. The difference between 2 and 10 year yields has reached 24 basis points. The US yield curve is close to inverting. Typically, investors demand a higher rate of interest when locking up funds longer term, unless of course they are concerned about the future. Then demand for long-term debt drives bond prices higher and yields lower. When long-term bond yields drop below short-term bond yields, the yield curve inverts. It is a sign that all is not well in the financial system and we are almost at that point today. Once the yield curve inverts, and then normalizes, it signals recessionary times ahead and pain for equity investors. The conundrum today is that US stock markets are hitting all-time highs in many cases. Which market is correctly predicting the future, stocks or bonds? We are about to find out. Inflation-linked bonds (ILB's) in the US, EU and UK continue their steady climb higher. Unlike fixed interest rate government bonds where price moves inversely to changes in nominal interest rates, inflation-linked bond (ILB) prices are sensitive to changes in real interest rates, rather than nominal interest rates. This means that inflation linked bonds will rise in price and provide a hedge for investors against unexpected increases in inflation. Interest rates and government bond yields can rise, but as long as inflation rises at a faster rate, inflation linked bonds will increase in value. ILB's are under-owned and offer an excellent form of diversification and protection to investors in a rising interest rate and rising inflationary environment. ILB's are playing an increasingly important role in the Active Asset Allocator. The gold cycle has proven quite challenging to read this year due to an investor cycle (IC) that has extended 8 months versus the more typical 5-6 month range. The IC finally bottomed in mid-August and I think a new IC is now underway. The recent market action looks and feels similar to the ICL of December 2015. Back then, gold spent four weeks building a based before launching higher. That is the pattern I am looking to repeat this time around. During the recent decline in precious metals, Gold Trader has been stopped out a couple of times but is currently positioned long in anticipation of a new IC emerging. Time will tell. Sentiment readings in the precious metals sector and current positioning by speculators and commercial traders certainly suggests a new IC is due. 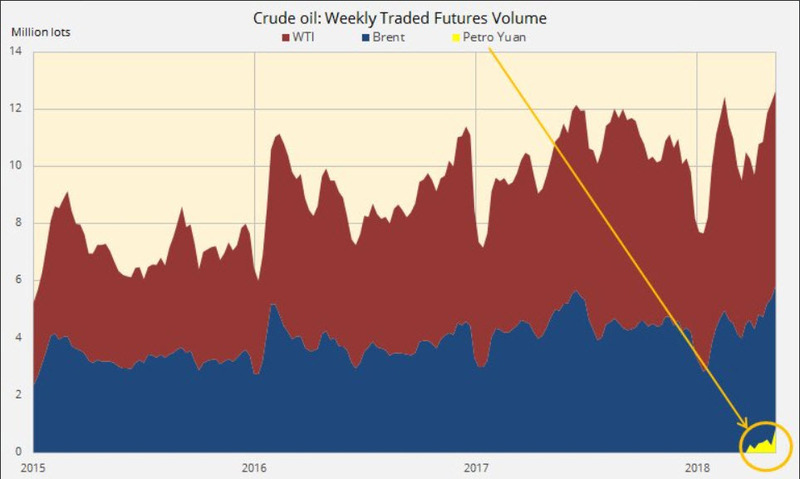 The Commodity Futures Trading Commission (CFTC) publishes a weekly report that summarises the current positioning of speculators and commercial traders across a broad range of commodities that trade on the Exchange. The latest Commitment of Traders (COT) report shows that large speculators are currently holding a huge short position in gold of 213,259 contracts, 200% more than they held a few months ago and one of the largest short positions on record. Commercial traders - the miners and bullion banks - who are usually always net short to hedge their production, are 6,525 contracts net long today. Are you kidding me!! To give readers an idea of how extreme this position is, the last time the Commercials were net long gold was all the way back in 2001 when gold was trading at $250, before the bull market started. This is an extremely bullish setup for gold. The setup is even more bullish in the silver market. Commercial traders are net long 14,613 silver contracts for what I believe is the first time ever, while the large speculators are net short 28,974 silver contracts, another extreme reading. While the COT charts are not a timing tool, the scene is set for the next leg higher in gold and silver to unfold. The performance of gold priced in USD versus US long duration zero coupon bonds has suddenly became a lot more interesting. As Charles noted, in recent years, we have been in a stalemate, but he doubts that situation will last much longer. I hold a similar view. Gold appears to be forming a rounded bottom versus US Treasuries. I expect this chart will resolve in higher prices for gold versus US bonds and victory for China over the US longer-term. Happy New Year folks. 2017 closed with the Active Asset Allocator returning a modest +1.2% for the year, Gold Trader +12% (tax free) in a year when gold, priced in euros returned -0.4% and Gold PowerTrader +22% (tax free). We enter 2018 with US equities surging higher, the US dollar accelerating lower, EU government and inflation-linked bonds holding steady and precious metals coming to life. I cover my expectations for each asset class in more detail in this month's Investor Letter. US equities may be entering a melt-up phase according to one highly regarded US investment strategist, but with the USD plunging, risks are running high. I outline a possible long entry in European stocks if the correct set up presents and also reiterate my $1,900 price target for gold by 2019. 2018 looks like it will be a very eventful year and I look forward to discussing the markets in detail with you all in the months ahead. For now, the Active Asset Allocator maintains an allocation of 20% global equities / 20% EU government bonds / 15% inflation linked bonds / 5% EU aggregate bonds / 30% precious metals / 10% cash. Are we entering the 'blow-off' phase of this equity bull market, which could last another year or two? Jeremy Grantham thinks it's a distinct possibility. In his latest 'Viewpoints' entitled "Bracing Yourself for a Possible Near-term Melt-Up", he discusses the potential for a final acceleration higher in equities and also quantifies the possible move - a minimum of +60% over 21 months (from the start of the acceleration point) - based on his study of prior bubbles. Grantham concludes that the S&P 500 could melt-up for another 9 to 18 months to a range of 3,400 to 3,700. Grantham also points out that +60% is a minimum based on past bubbles. Some ran +100% before topping out and then collapsing. Exhibit 1 below highlights Grantham's analysis of past bubbles. The S&P 500 is certainly showing signs of acceleration, particularly since Trump's election in November 2016. Corrections have been shallow with each dip being bought aggressively. This rally has been powerful, triggering record readings in the relative strength and momentum technical indicators. Grantham's analysis is interesting, though I think we are already 14 months into this acceleration phase. Since November 2016, the S&P 500 has rallied +32% in USD terms. Priced in Euros, the performance of the S&P is still positive, but note the diverging relative strength and momentum indicators on the chart below. It is the same story for the global equity benchmark, the FTSE All World Index; higher highs in price but on falling relative strength and momentum. Either the acceleration picks up strength shortly or a correction begins. The VIX Index, a measure of stock market volatility and investor confidence, made a new multi-decade low in November 2017 reaching 8.48 but has since reversed higher. Have we reached peak investor complacency? There is certainly no fear about. On the positive side, new highs in the stock market continue to outpace new lows, though the relative trend has weakened over the last 12 months. Also, the percent of NYSE stocks trading above their long-term 200-day moving average remains a very healthy 73%. Significant stock market declines do not generally occur until this percentage falls below 50%. My Technical Trend Indicator also remains in bullish mode. In my last Investor Letter, I highlighted a potential low-risk opportunity to invest in European stocks. I discussed the valuation discount that European stocks trade at compared to US companies and highlighted the fact that Eurozone stocks account for just 11% of the global equity index (17% if you include the UK), compared to 55% for the US. European stocks, as measured by the Eurostoxx 600 Index, have traded in very broad range for the last 20 years. The Eurostoxx 600 Index hit a resistance zone of 400-415 in 2000, 2007 and again in 2015, failing to break out on each occasion. We are still below that resistance line today but getting close again. The Index traded at 390 in October 2017 and is back at 398 this week. There is a negative divergence appearing on the Relative Strength and Momentum indicators, which is interesting given the strength of stock markets in general. I am watching this closely. If we get Grantham's melt-up in stock markets over the next few months, the Eurostoxx 600 will break out above a 17-year resistance zone, which will be a significant and bullish event. If the Eurostoxx 600 Index can close at a new all time high and turn resistance into support, the Active Asset Allocator will take a position in European shares. The risk will be modest. Above 400-415 and I am a buyer. A meaningful close back below 400 and I would close out the position. I will let the charts be my guide. Emerging market equities are also performing well and recently broke out to new all time highs, when priced in Euros. Emerging market equities have historically delivered strong performance in times when the USD has been weak and I expect this trend of USD weakness to continue in 2018 and 2019. In Germany and the UK, 2, 5 and 10 year yields have edged higher by 10 basis points since my last Investor Letter in October 2017. 30 year yields have remained unchanged in Germany and have actually fallen by 10 bps in the UK. Japanese yields haven't budged in the last three months either. The most significant change has taken place in the United States where 2 and 5 year yields have rallied 50 basis points following recent interest rate hikes by the Federal Reserve. US 10 year yields are 20 basis points higher than last October, while 30-year yields in the US are unchanged. This has resulted in a sharp flattening of the yield curve, generally a precursor to recession. The gap between 2 and 10 year yields has declined to just 55 basis points. Another 50 basis points hike in the Fed Funds rate will tip the yield curve into negative territory. This happened in 2000 and 2007 in advance of the last two recessions. With the Fed Funds rate at just 1.5% today, the Federal Reserve has limited room to cut rates in the event of another recession hitting, which is why they are so keen to hike short-term rates now while they still can. I continue to maintain a 20% allocation to long duration government bonds in the Active Asset Allocator. Bonds have held up well to date, despite the risk-on rally in global equities. Should stock markets roll over in the months ahead, safe haven government bonds will likely attract new capital inflows. Alternatively, if we experience a breakout in EU equities to new all time highs, I will reduce the allocation to bonds and cash in favour of equities, at least for a trade. Inflation-linked bonds also remain in broad multi-year rising trends. UK and US inflation-linked bonds have been impacted by adverse currency movements in recent months. The sharp declines in USD and GBP should lead in time to rising inflationary pressures in both countries, which should feed through to rising prices from inflation-linked bonds. Gold ended 2017 at $1,303, +13% for the calendar year in USD terms, but flat when converted back to euros. I expect that to change this year. Gold is waking up from a four year bear market. The USD is in trouble and I expect gold will accelerate higher in 2018. During the last major bear market in the USD (2001-2008), the USD Index fell -43% from 126.21 to 71.33. During that period, Gold rallied over +600% from $250 to $1900. I think the USD started another major bear market in 2016 and has years to run. Trump will run the US like he ran his companies - badly! Debts and deficits as far as the eye can see - both USD bearish. Last August, I set out my forecast for the gold price over the next few years. I expected a break above the downward sloping 4-year resistance line, followed by an eventual move to $1,900 by 2019. Gold is starting to gain some momentum now and I see no reason to adjust my price target. Once $1,923 is breached, I think we could see some really wild (bitcoin-like) action in precious metals prices. Silver is a more volatile precious metal than gold and generally rallies and declines at a much faster rate than gold. I see an inverse head and shoulders pattern on the silver chart and I expect a strong break out higher shortly. The Central Fund of Canada currently holds a 63% allocation to gold bullion and a 37% allocation to silver bullion and is ideally placed to take advantage of the move in precious metals that I see unfolding. Finally, a note on Gold Trader. While gold priced in euros returned -0.4% in 2017, Gold Trader ended the year +12% and Gold PowerTrader returned +22% for investors, TAX FREE! I have spent the last couple of months reviewing my trades for 2016 and 2017 and have made some refinements to the strategy, which I think will improve performance in 2018. I widened the stop loss from 2% to 3% last year, which resulted in an improved win rate per trade, up from 63% to 75%. I have also noticed that on average, I have entered trades 7 days too early, so I will be exercising more patience on each trade this year. I entered Trade 19 on 18th December at 1,258 and this trade is still live. Gold closed today at 1,340 and I think we could still have 1-2 weeks of rising prices before the first daily cycle peaks and roles over. Stay tuned. Wishing all Secure Investments readers a healthy and prosperous 2017! The Active Asset Allocator returned +8.9% in 2016. A full two thirds of this performance came at the start of the year during a period of heightened volatility and declining stock prices. By the end of February 2016, the 30% allocation to bonds had contributed +1% to the strategy's performance while the 30% allocation to precious metals had contributed +5%. The 20% allocation to global equities impacted performance by -1%. So, the AAA was +5% by the end of February versus -4% for the average multi-asset fund. From March through October 2016, the AAA added another +5% with +2% coming from the allocation to global equities and +3% from precious metals. By the end of October, the AAA was +10% YTD versus +2% YTD for the average multi-asset fund. Following Trump's election victory on 8th November, money flowed out of safe haven assets and into stocks, leading to a run higher in equities in the last two months of the year and a selloff in bonds, gold and the Euro. All in all, I am satisfied with the performance of the strategy in what was quite a difficult year to navigate. Many hedge funds delivered negative or very modest positive returns in 2016. For Gold Trader followers, the December 2016 low marked the end of the last Investor Cycle (IC) with a new IC starting on 16th December. The first daily cycle (DC1) of this new IC peaked at $1,219 on 17th January and then dropped into a low (DCL1) on 27th January 2017 at $1,190. DC2 is now underway and I think it could be quite powerful; a $50-$100 move could be on the cards over the next four weeks. Gold Trader entered a long position yesterday (1st February 2017) at $1,204 with a stop on a close below the recent low of $1,190. 2016 began with an -16% plunge in global equities. Over the course of the year, stocks recovered so that by the time the US Election rolled around, the FTSE All World Index had crept back into positive territory. Then along came the Donald.... Following Trump's election victory, money flowed out of safe haven assets and into stocks, leading to a run higher in equities in the last two months of 2016. The US dollar also rallied sharply versus the Euro (the euro fell from $1.12 to $1.04), thereby putting quite a gloss on global stock market returns for the year in euro terms. Historically, post-election years have not been as kind to investors and I expect 2017 will be no different. The current bull market, 8 years old in March 2017, is already the third longest in history and twice as long as the average of the last 100 years. Still holding on to second place for now is the 1921-1929 stock market bubble, which ran a few days over 8 years; while in first position is the nine year and five month run from October 1990 to March 2000, culminating in the epic internet bubble. We are getting close to the apex of this multi-year run and I believe the next bear market is just around the corner. Stock valuations have returned to prior peaks, investor confidence is back, while short interest - those betting on falling stock prices - has fallen sharply. One of the most successful hedge funds in recent years, Horseman Capital, recently scaled back their significant short position on equities after losing -24% in 2016. The bears are throwing in the towel, potentially, just at the wrong time. When investors take short positions on the stock market, they become natural buyers during stock market declines (as they cover their positions). However, when short sellers cover their trades during a rising market, there are fewer buyers around when stocks eventually turn lower and the declines can become bumpier and much more violent. An interesting development that has occurred since the US election is the jump in confidence among CEO's and consumers, which hasn't yet, but may flow through to rising retail sales and economic growth in the months ahead. However, the key problem that trumps all others is that stocks are trading at 25 times reported earnings (which peaked in 2015) versus a long-term average of just 17 times. Stocks have traded at single digit P/E multiples in the 1940's, 1950's, 1970's and 1980's and could do so again when the next bear market arrives. In the meantime, stocks have only been this expensive on two occasions previously since 1860: the last few months of the roaring 1920's just prior to the Great Depression and at the tail end of the internet bubble in the late 1990's! As frustrating as it has been to sit with a 20% allocation to cash (and as much as 30% for new Secure Investments clients), I continue to advise caution for now. The stock market has run 11 months without any meaningful pullback, which is very unusual. A 5% correction typically occurs every 7 months during a bull market. In the next few weeks I will outline some of the areas where I see opportunity in 2017 across equities, bonds and precious metals. I think the rise in global government bond yields has just about run its course for now. I am looking for a rally in Eurozone government bonds, which coincides with a decline in global stock markets over the next three to six months. German 10 year government bond yields have rallied 0.50% over the last 7 months and have now reached short-term overbought levels but remain in a multi-year downward trend. Technical indicators suggest that the rally is losing strength. More broadly, Eurozone government bonds have rallied over 60% in recent years, so a -21% pullback is healthy. The next chart suggests that the Euro bonds are now oversold and the next move higher is just around the corner. I will be paying close attention whether bonds can break out to new highs later this year (bullish) or not. US 20-year Treasuries have also corrected sharply, falling -18% and have now also reached an extreme oversold position. The longer-term uptrend is still in place for US Treasuries. Inflation-linked bonds continue to hold up better than fixed interest rate bonds and I expect ILB's to continue to price in a gradual increase in inflation expectations over the next couple of years. Gold is at quite an interesting juncture. For the first time in five years, gold has broken the trend of lower highs and lower lows. Gold bottomed at $1,045 in December 2015 and then rallied over $300 to a new 52-week high of $1,378 just seven months later. A sharp correction followed but gold managed to dig in and make a higher low in December 2016 at $1,124. Gold priced in euros has held up much better than USD gold, providing a natural hedge for euro-based investors. I expect USD will play catch up now so we could see gold and the US dollar rally together this Spring, which would be great news for our Active Asset Allocator strategy. There is not much to do for now but wait and see how this plays out. Sitting through a bull market is tough to do but I expect our patience will be handsomely rewarded over the next three years. Gold spent the majority of the time above the long-term 20-month moving average (20MMA) during the last major bull market (2001 to 2011). Gold broke below the 20MMA in 2012 and remained in a downtrend for the next four years but then turned higher once again in 2016. Gold closed below the 20MMA briefly on the recent correction but has now regained this bull market trend line. I am looking for an acceleration higher as this bull market gathers steam and broadens in popularity.